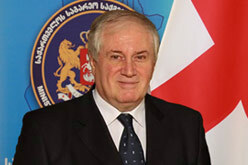 Diplomatic relations between Georgia and the Kingdom of Sweden were established on September 19, 1992. Diplomatic mission of Georgia to the Kingdom of Sweden was opened in 2006. The Embassy of the Kingdom of Sweden to Georgia, which was opened in 2010, is the only diplomatic mission of the Scandinavian countries in Tbilisi.